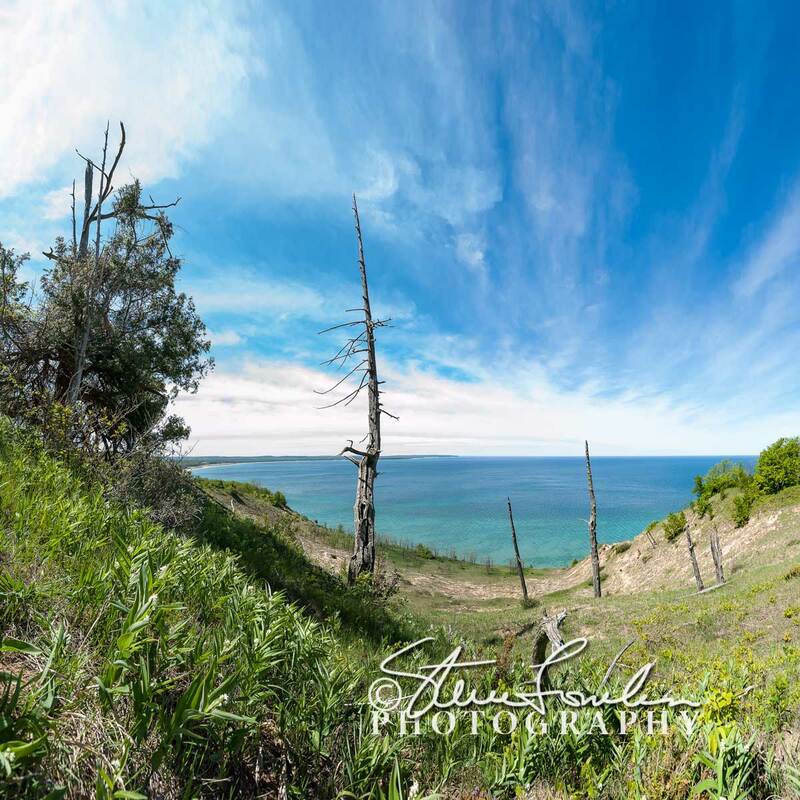 I was recently told of this trail into another part of the Sleeping Bear National lakeshore park just south of Empire Michigan. I can’t believe I had never been to this overlook before. It is absolutely breathtaking. I wanted to attempt another coinciding full moonrise and sunset panorama composition and this was an ideal location. I had clear views both east and west and the weather and clouds cooperated perfectly. This is a 50 shot composite of 10 five shot hdr bracketed frames with the D700, 24-70 nikkor lens at 24 mm and the Really Right Stuff pan head and nodal setup. I panned from west to south to east a little over 180 degrees. I was so excited about this new place I came back up the next day and explored a bit more and made this 3 shot stitch using my 14-24 mm lens at 14 mm with the same gear as above. Everything was edited in Photoshop CS6 except the hdr’s which were processed in Nik HDR Efex pro. I love this old cedar tree ‘ghost forest’ that dot the dunes. They add a wonderful character to the setting.